Signing documents may require hours or even days depending on the location of the parties that need to sign. But the good news is those are days of the past. Today it takes only a few seconds to affix a signature to any document no matter your location. One of the best known solutions on the market is DocuSign. However, there are plenty of other alternatives to DocuSign and DocuSign competitors. Below is the list of tools that allow you to work with any signature in seconds. Although this DocuSign competitor hit the market years later, PandaDoc has become a leading eSignature tool. It significantly simplifies the way businesses manage their document process and offers a variety of other features than just signatures. You can create quotes and proposals, work with teams and workflows from multiple workspaces, customize documents by adding your company logo to your deliver emails, track analytics, and much more. This DocuSign competitor is a powerful solution for working with electronic signatures. Developed by PandaDoc but two years earlier, Quote Roller eSignature software is another DocuSign competitor. 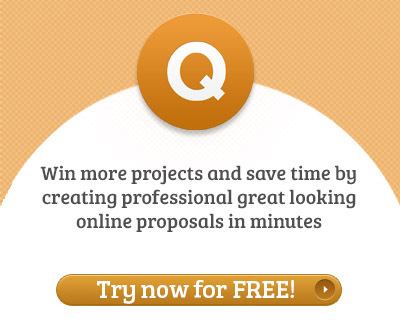 Initially it was built for helping small businesses work with business proposals from the very beginning till the end – creating and sending them with tracking analytics. This DocuSign competitor offers custom templates, a content library, drag-and-drop functionality, and of course convenient work with electronic signatures. In 2015 Quote Roller became PandaDoc. As soon as you login to this DocuSign competitor you will realize that it is easy to use. It does not require a demo or any other instructions – the interface is quite simple and all the features are not hidden in the settings. As with other DocuSign competitors, this electronic signature platform allows signing documents in seconds from any place any time. To start, you only need to upload your document, apply a signature and send it to your recipients. All the steps are secured with two- factor authentication. This relatively new DocuSign competitor has attracted fans from all over the world. It helps save time when adding a signature to a document as it reduces unnecessary clicks and actions. For example, if you are missing a certain document, you can easily use a template and customize it for personal needs, then send it to recipients – that’s it. Collaboration on documents is also one of the greatest features of this electronic signature platform. You can start working on a document alongside other colleagues in real-time no matter where each of you is located. This basic eSignature software offers a signing process in just 3 steps: send – sign – manage. You need to upload a file and decide who will receive and sign the document. After that each parties affix their signatures and done – as easy as ABC. Developers give users the ability to draw, type or upload their signatures from PC, tablet or mobile device. Audit trail, templates, team management are among useful features of this electronic signature solution. Sign yourself or get your papers signed by others – this competitor to DocuSign allows you to sign forms, papers, reports, pages, and more faster than usual. Save time and manage all your contracts in one place. You will know what action your recipient took whether they just opened and viewed or signed. Developers also encourage clients to insert their company logo and even brand colors. And of course, like many other DocuSign competitors, team management allows you to work with team members in one account. As with other DocuSign competitors, there is no need to compare digital signature vs electronic signature but in this case – InsureSign also offers high-level security of your data. Simply set up your documents for electronic signatures using drag-and-drop simplicity and send them to your recipients. They then can sign from any device they’d like. This allows you to always be in touch with customers which is what builds a warm relationship between both parties. Each plan includes unlimited templates, signatures, and documents as wells as multiple signers. This DocuSign competitor allows signatures from up to 20 people, you can even choose beforehand the place and the order of signatures. If the number of requests is quite large, everyone from the list will receive an email saying that the document is signed by everyone involved. Easily work with your team by adding or removing new members; add company branding (logo, etc.) and use templates. The solution allows you to place a signature on a doc from any device. Customers can even choose deployment: it can be on-premises as well as cloud solutions. The DocuSign competitor also allows setting templates for the same type of documents so parties have the chance to save time and use the same document over again in the future. 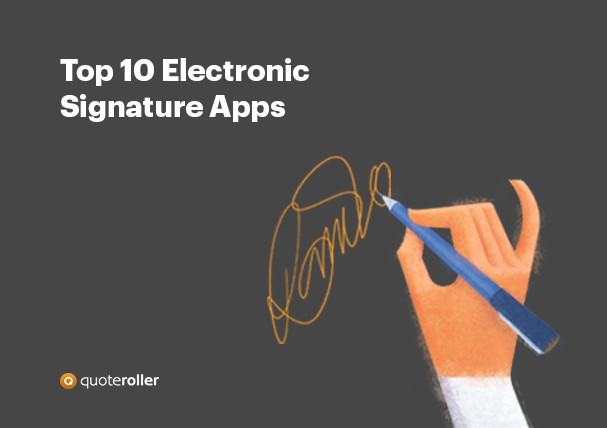 Enterprise organizations love this electronic signature software. Customers can customize their workflows, set branding of their company, and integrate with their own applications thanks to a rich API library. Save time using templates, create teams within your organization, set orders for signatures, and do many other great things even on your phone as SignNow has iOS and Android app. There are some small bugs. As you see electronic signature solutions are not limited to just DocuSign. The list above is not every other option available. There are even more competitors in this sphere. So do your homework and choose the best solution that meets your exact requirements and expectations. Alex Lamachenka is the Marketing manager at PandaDoc who handles content and crowd marketing. His background covers sales, project management, and design. In his free time, you can find him traveling, hicking or tasting local foods.